Energy efficiency is a challenge for many mission critical, energy-intensive data centers, but top pharmaceutical manufacturer Merck and Company’s new Tier III data center facility in Kenilworth, New Jersey has achieved just that. The facility recently received coveted ENERGY STAR certification from the U.S. Environmental Protection Agency (EPA). Delivered by the integrated design-build team of Merck, DPR, Gensler and CCG, the data center has been commissioned to satisfy Merck’s stringent design criteria and performance-based certification process to earn ENERGY STAR designation. This is the first ENERGY STAR certified data center for Merck. Designed and built in just eight months, the integrated team delivered the facility a full month ahead of schedule. 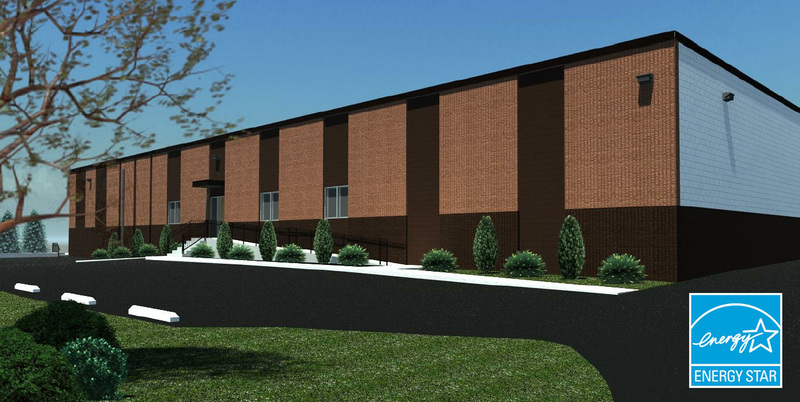 The project scope included conversion of a one-story, steel-framed manufacturing building into a new state-of-the-art energy efficient data center. The 42,000-sq.-ft. facility includes two data halls and administrative support space. Major components include a chilled water cooling system utilizing prefabricated chiller plants and computer room air handler units in each data hall, and an electrical system comprising two power train systems in an N+1 redundancy configuration. Each of those systems consists of switchgear with dedicated standby generators and four uninterruptable power supply modules. DPR’s Brett Korn pointed out that the data center’s ENERGY STAR designation translates into real operational savings for Merck, estimated at around 5 percent of the facility’s typical operating budget. Achieving ENERGY STAR status also highlights the responsibility global market leaders like Merck place on reducing carbon footprint and lowering operating costs through environmentally responsible development. Engaging a design-build team with the level of technical construction expertise and data center experience that Merck, DPR, CCG and Gensler possess was also crucial to the project’s success. The project team focused on achieving energy efficiency goals from the onset. The team meticulously tracked and adhered to performance milestones to help the facility achieve both ENERGY STAR status and LEED Silver certification from the US Green Building Council. the team’s willingness to innovate by employing lean construction and extensive levels of prefabrication (estimated at 25 percent of the facility). The Merck project was DPR’s first major new customer for its New Jersey office, which initially opened in 2008 and has doubled in size, serving customers throughout the state. ENERGY STAR certification requires that energy consumption data be continuously tracked and professionally verified using an online reporting tool via EPA, hitting specific benchmarks. Recertification is required annually. For more specifics, go to www.energystar.gov/ENERGYSTARS.